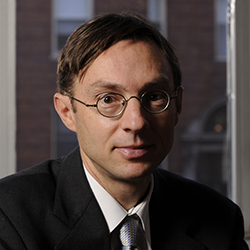 Jens Ludwig is the McCormick Foundation Professor of Social Service Administration, Law, and Public Policy at the University of Chicago, a non-resident senior fellow at the Brookings Institution, research associate of the National Bureau of Economic Research (NBER), and co-director of the NBER?s Working Group on the Economics of Crime. His research interests are in the areas of social policy and urban issues, particularly with respect to education, crime, and housing. He currently serves as the project director for the NBER?s long-term evaluation of the U.S. Department of Housing and Urban Development?s Moving to Opportunity (MTO) residential mobility experiment, which provides low-income public housing families the opportunity to relocate to private-market housing in less disadvantaged neighborhoods. He is also the director of the University of Chicago Crime Lab, which is partnering with local government agencies and community groups in Chicago and around the country to carry out randomized experiments to learn more about how to reduce crime, violence, and closely related social problems such as school dropout. He is the co-author with Duke professor Philip Cook of Gun Violence: The Real Costs (Oxford, 2000) and co-editor with Cook of Evaluating Gun Policy (Brookings, 2003). His research has been published in the leading peer-reviewed scientific journals in a number of disciplines including the Journal of the American Medical Association, the American Journal of Public Health, the Quarterly Journal of Economics, and the American Journal of Sociology. He is co-editor of the Journal of Human Resources and serves on the editorial boards of Journal of Policy Analysis and Management, Criminology, Journal of Quantitative Criminology, and American Economic Journal: Economic Policy. He is also a member of the Board on Children, Youth and Families of the Institute of Medicine of the National Academies of Science. In 2006 he was awarded the Association for Public Policy Analysis and Management?s David Kershaw Prize for contributions to public policy by age 40. In 2012 was elected to the Institute of Medicine.